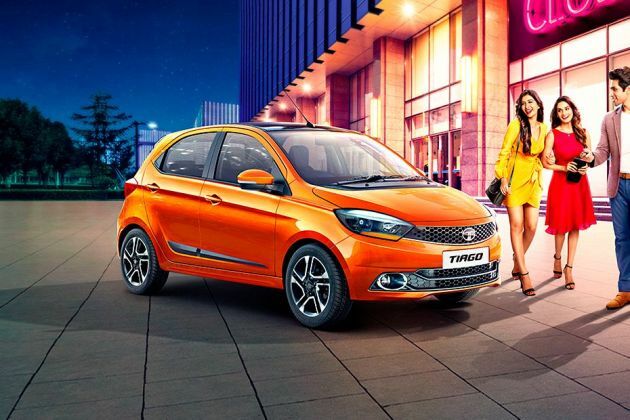 Given the rising demand for affordable automatic cars, Tata launched the Tiago EasyShift AMT. The Tiago automatic is only available in the top-end XZA petrol grade. Priced at Rs 5.39 lakh (ex-showroom Delhi as of April 4, 2017), the Tata Tiago 1.2 Revotron XZA commands a premium of Rs 41,000 over its manual counterpart i.e. the Tiago XZ, and it can be identified by the variant badging at the rear. Apart from that, it looks the same as the standard Tiago and is one of the cleanest designs we have seen in the Tata stable. Since it is fully-equipped, it gets features like 14-inch alloy wheels, front fog lights, wing mirrors with integrated LED indicators and safety features like dual front airbags and ABS with EBD. On the inside, the biggest difference vs the standard car is the new gear selector. It comes equipped with a sport mode (S) and manual mode (M), apart from the usual auto (A), neutral (N) and reverse options. Yes, since there is no clutch, the driver gets more room in the foot-well too! Additionally, for bumper to bumper traffic, Tiago AMT gets a creep function, which assists the car in crawling as soon as you lift your foot from the brake pedal, without pressing the accelerator. In an inclined position, this feature helps prevent the car from rolling back too. It also gets features like an 8-speaker sound system, the ConnectNext infotainment system by Harman, body-coloured AC vents (available only on Sunburst Orange and Berry Red exterior body colors), along with steering mounted audio and telephony controls. It gets the same engine as the standard Tiago petrol i.e. a 1.2 litre, 3-cylinder motor that makes 85PS of power and 114Nm of torque, paired with a 5-speed automated manual transmission. Tata claims an efficiency figure of 23.84kmpl, which is the same as its manual counterpart. Rivals to the Tiago XZA include the likes of the Renault Kwid AMT and Maruti Celerio AMT.